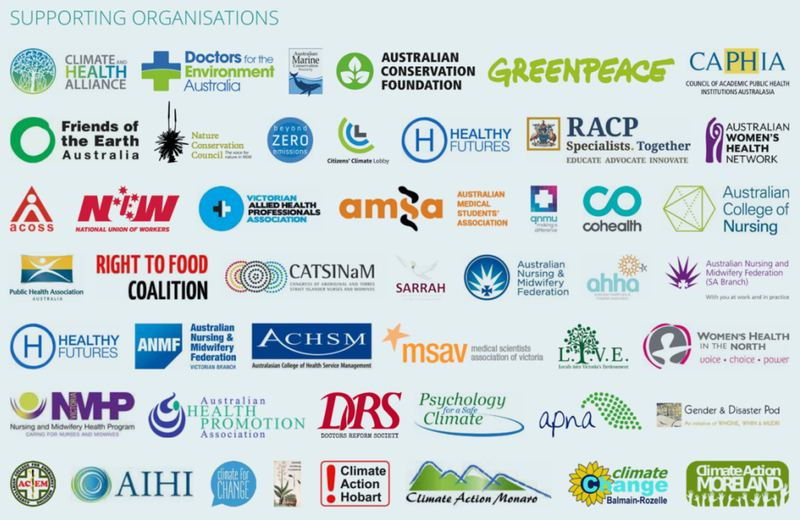 An open letter from an unprecedented coalition of health, welfare, and environment groups published today calls for all candidates in the upcoming federal election to recognise climate change as a core public health threat and commit to supporting policy to respond. The letter cites the World Health Organization which has declared climate change a “health emergency”¹, and the prestigious international medical journal The Lancet which considers climate change “the greatest threat to health of the 21st century”.² It is signed by 50 organisations, including the Australian Nursing and Midwifery Federation, the Australian Healthcare and Hospitals Association, the Public Health Association of Australia, the Australian Council of Social Service, the Royal Australasian College of Physicians, the Australian Marine Conservation Society and Greenpeace. The full version of the Open Letter is available here.